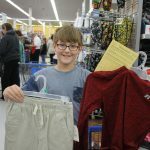 Students are scheduled to shop at a local retailer with Assistance League of Bend members and volunteers acting as personal shoppers along with other volunteers that check students in, work at the cash registers, and help the students and their families leave with wardrobe necessities for school that they need, like and that fit. 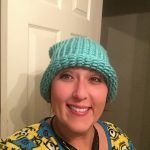 Hats for cancer patients, homeless and low-income children are crafted by members and volunteers and delivered to various facilities for distribution. The program now includes Knockers for mastectomy patients. 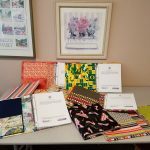 Members and volunteers create memory books for foster children that are distributed by CASA of Central Oregon. These books become a place for foster children to store important school, medical and family records and pictures. 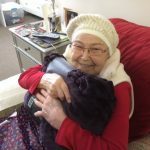 Members and volunteers provide and deliver personal care items to low-income seniors in local care facilities throughout the year and donate gifts to seniors in need during the holiday season. 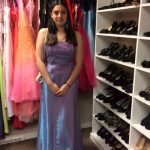 Deschutes County high school students borrow formal wear and accessories at no cost. Events such as high school prom should be a fairy-tale for all high school students! 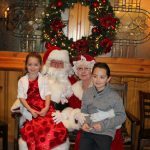 Breakfast with Santa provides breakfast for foster children, foster families, and other community members at a local upscale restaurant. Each child receives a soft, plush toy and a picture with Santa and Mrs. Claus. 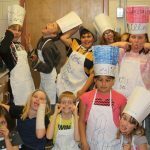 Members and volunteers teach kitchen safety, basic cooking skills, and nutrition in a four-week program after school to 4th and 5th graders in two low income local elementary schools, one in Bend and one in Redmond.